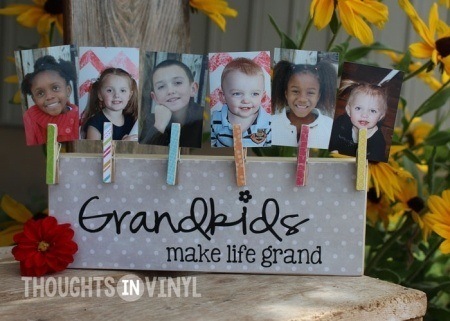 This darling DIY wooden grandkids letter set is so much fun to decorate...and perfect for Grandma and Grandpa to show off their adorable grandkids. 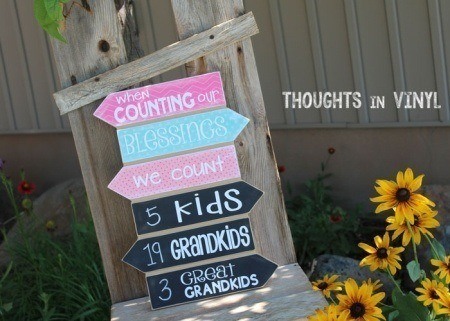 Simply paint or apply scrapbook paper...either way it will be cute. Overall size of the word family is about 6 1/4" tall x 30" wide. Each letter is 1 1/8" thick so they won't tip over.